Soooo my friends Katrine (@bookish.insta on Instagram) , Rahya (@biblio.philia on Instagram) , Hailee (@thesebooklions on Instagram) and I are hosting our very first Read Along!! At the end of each week we will be hosting discussions on the chapters we have just read and how we are finding the book. 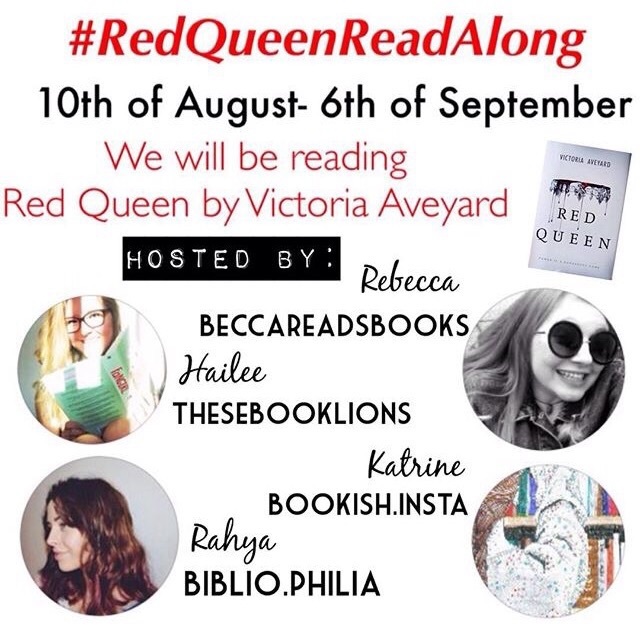 These discussions will be hosted on our Goodreads group #RedQueenReadAlong.